The divorced, beheaded, dead, surviving wives invite you to a backstage tour through what really happened with hot & heavy Harry. Anne dates Kate’s hubby Harry, who wants a boy with Jane, considers marrying another Anne but then goes for another Kate instead, leaving a third Kate to look after the kids. - Heads and hearts are at stake when Harry’s Six finally meet in today’s world for some girls talk on love and lust, marriage and miscarriage, politics and private lives. 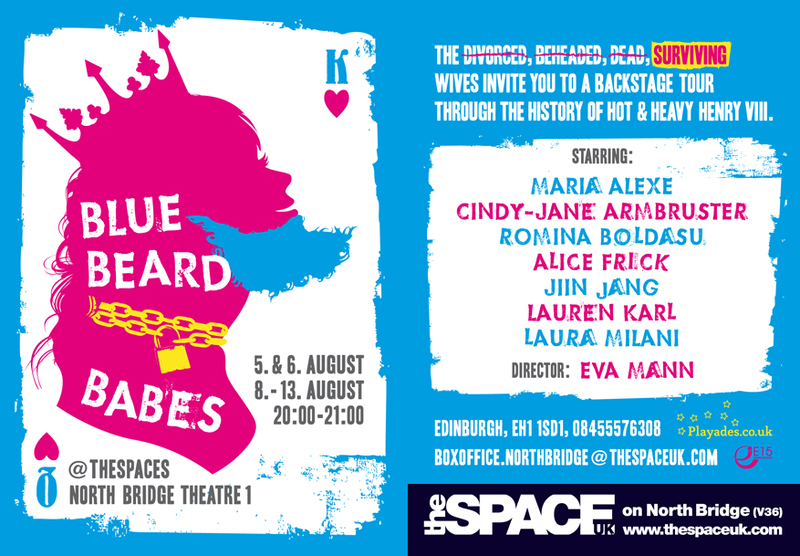 Five centuries on, it’s high time for the Blue Beard Babes to tell their own story.